Every day in communities across the southern interior of British Columbia, thousands of family’s lives are impacted by a loved one’s urgent need for medical care. Illness, injury, the premature birth of a child, the end of life – all part of the collective human experience, and yet when they arrive, everything changes. In aftermath of these moments, many families find that even in the depths of their loss, powerful feelings of love gratitude are also present. In June of 2016, Jim Ramsay, beloved husband and father, passed unexpectedly. His charm, his love of life and caring would certainly be his legacy, one that is being proudly carried forwards through his wife Darlene, and daughters, Laura and Kathryn. The Ramsay Family is iconic to Kelowna. 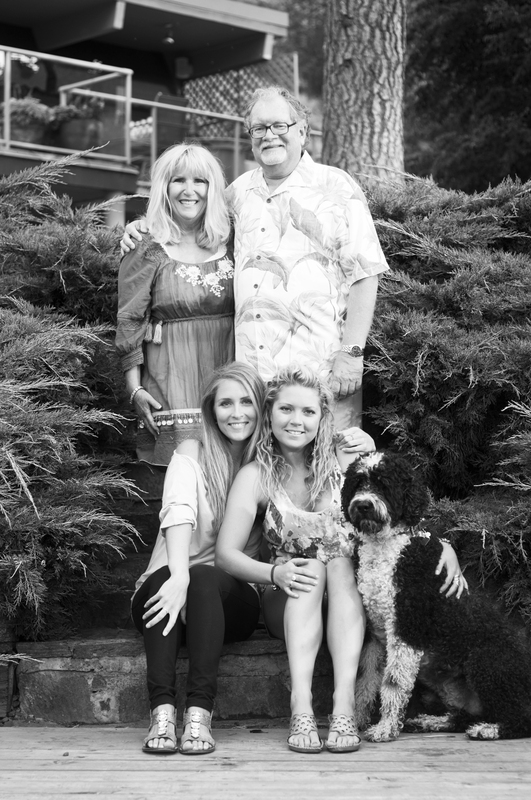 After moving to the region in the mid 1970’s, Jim quickly became a pioneer in the business community. Kathryn and Laura were both born in Kelowna, and have always been grateful for the incredible community they grew up in. Both accomplished in their own fields, their hearts never wander far from their childhood days on Poplar Point. They consider growing up in Kelowna a blessing – and a place they will always consider home. 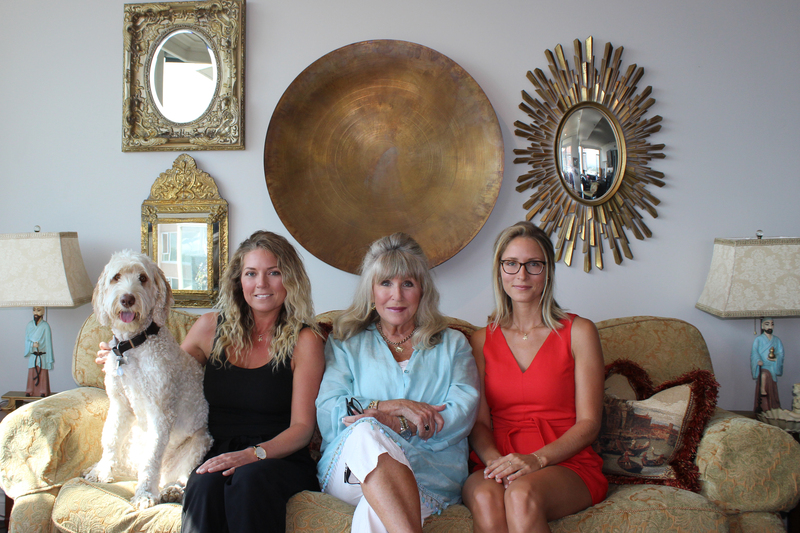 From the moment they greet you at the door, one feels like a part of this loving family’s world. Whether its Darlene’s joyful ‘hello’ called out from the kitchen, Laura’s warm embrace, or the never-ending compliments from Kathryn – friendship is instantaneous. Pleasantries are more than idle chit-chat. Darlene, Laura and Kathryn are those rare people who ask how you are, and truly listen to your answer. There is no denying the love within the Ramsay family. Even prior to Jim’s passing, the Ramsay family began a meaningful relationship with the Kelowna General Hospital Foundation. 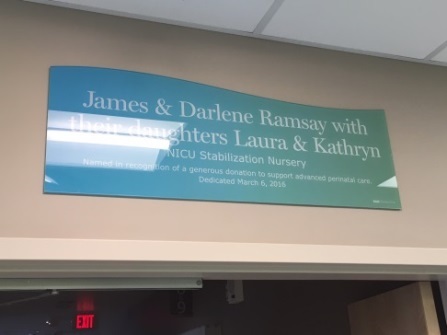 It is with great pride that the family gave a gift and were recognized in the Neonatal Intensive Care Unit at KGH, knowing that each tiny, pre-term baby born at KGH will receive the warmest greeting, a proverbial hug so to speak, by the Ramsay Family. Giving to help others is something the family embraces in all capacities. Whether it is donating amazing prizes for the live auction at the KGH Foundation’s Heart of Gold Gala, or offering complimentary makeovers to KGH nursing staff for the annual Innkeepers fete, the Ramsay women share in thoughtful acts of kindness as a way the family can honor their father’s legacy, making life a little more joyful to those who need it most. Knowing first-hand the hardship families endure when they are faced with a sick loved one, the Ramsay family recently chose to support a bedroom at JoeAnna’s House, what will become a home away from home for the families of patients who’ve had to travel for advanced care at Kelowna General Hospital. To be sure, JoeAnna’s House will be a place where a warm welcome, a hug and a heart-felt compliment will always be available. Thanks to the Ramsay’s, they are being embedded deep within it’s very foundation. On behalf of KGH patients and their families, thank you Jim, Darlene, Laura and Kathryn for your foundations of love and the incredible generosity you’ve shown to our community.